Valley of Fire is Nevada’s first state park, founded in 1935 to preserve vibrant red sandstone landscapes and other colorful formations in Southeastern Nevada. 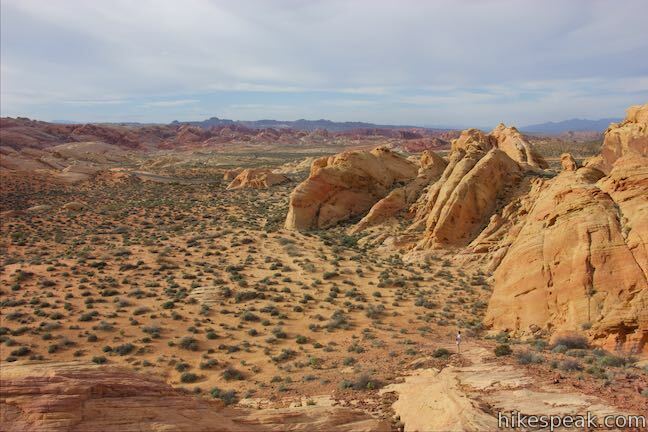 The park covers approximately 42,000 acres in the desert northeast of Las Vegas near Lake Mead. 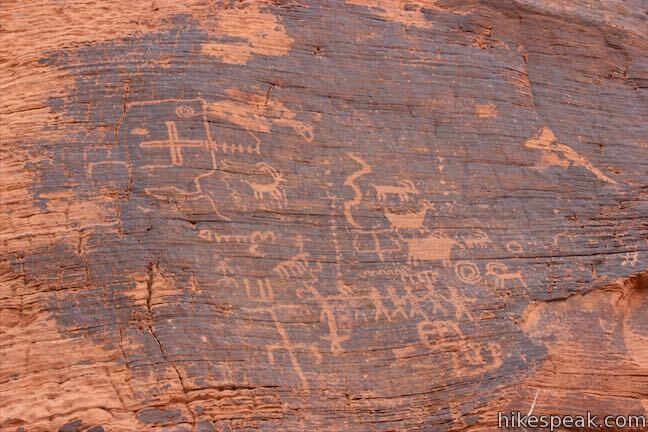 Valley of Fire State Park is just one hour’s drive from the Las Vegas Strip. 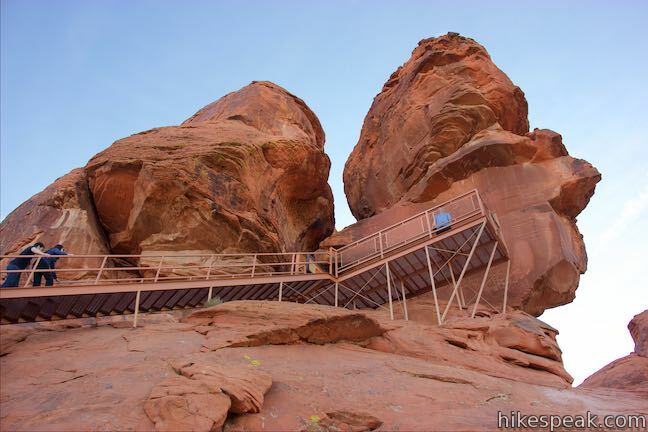 Inside Valley of Fire State Park, visitors can camp between fiery rock formations and explore exciting short hiking trails. One special destination is the Fire Wave, which has orange and white striped rocks that beg to be photographed. White Domes Trail goes through a dynamic landscape, with fascinating formations around every turn, as well as an old film set. Petroglyph Canyon Trail puts the park’s human history on display, showing hikers an abundance of Native America rock art. 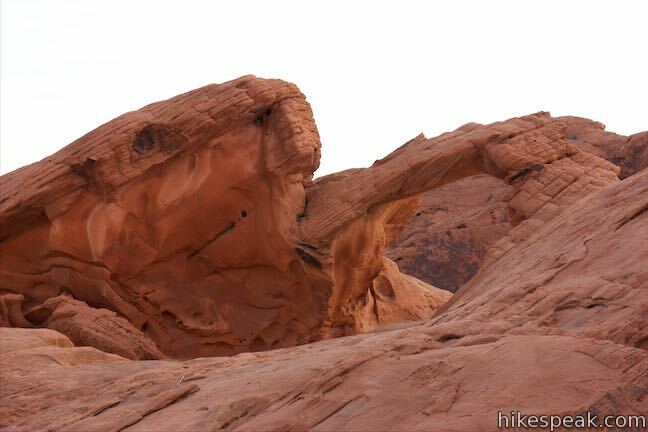 As if that weren’t enough, the park has natural arches like Elephant Rock as well as petrified logs. 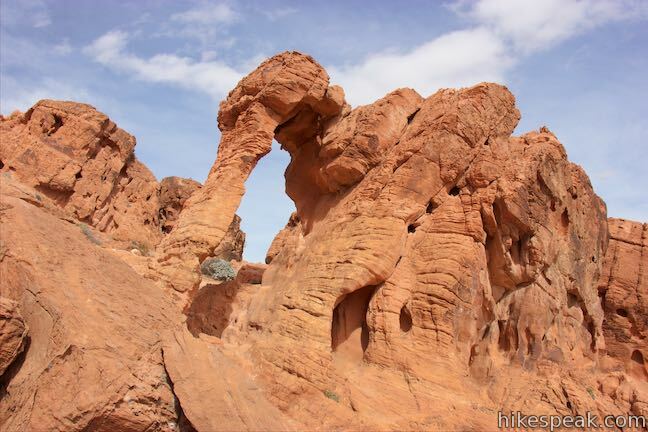 The amazing red sandstone in Valley of Fire State Park took a long time to create. The process started 250 million years ago when an ocean that covered this area retreated and disappeared. Red sands deposited and compacted into sandstone and the sea became a plain. Geologic faults and erosion contorted the landscape to what it is today. 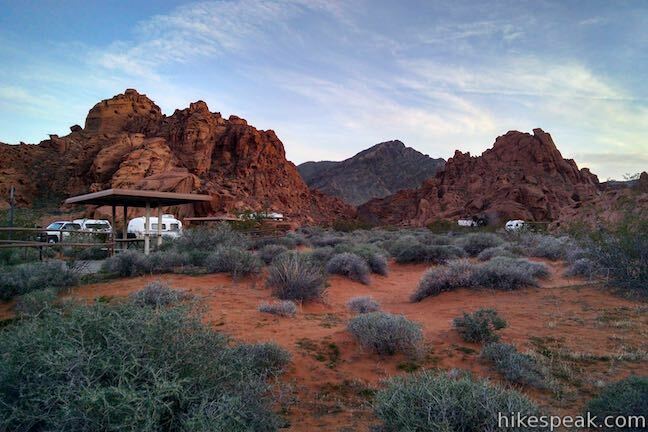 Valley of Fire State Park has a $10 entrance fee per vehicle (price as of 2019). The fee is reduced when entering on a bike. An additional fee is charged to stay at the campgrounds. Valley of Fire Highway (Valley of Fire Road) travels through the park from west the east between the park’s two entrances. The west entrance gets the most traffic and motorists may have to wait in line to enter the park. 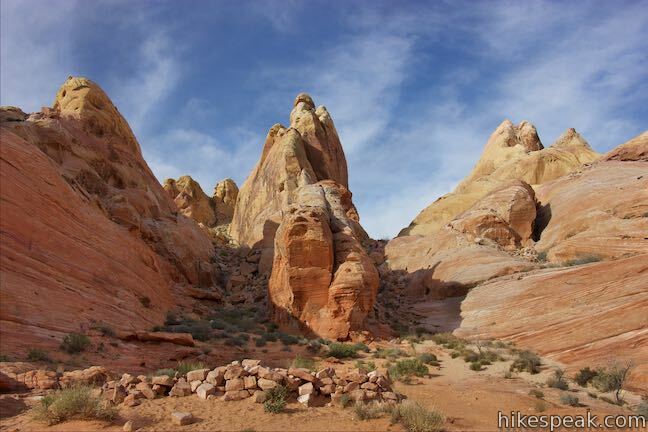 White Domes Road passes many natural wonders and is one of the Scenic Drives in Valley of Fire State Park. 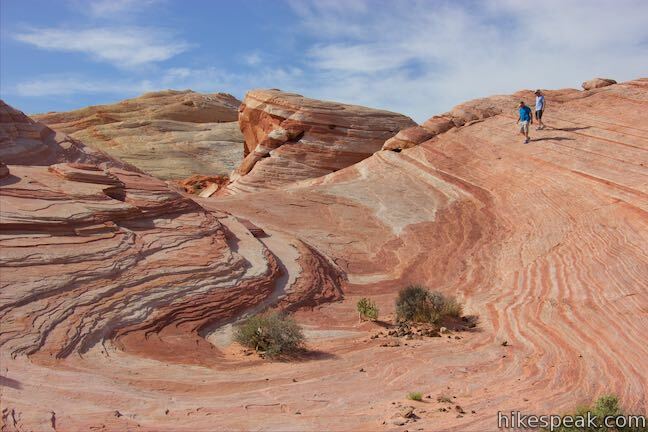 Explore short to moderate hikes in Valley of Fire State Park. The trails below are listed from north to south and can also be sorted alphabetically or by distance to help you pick your next hike. Each trail links to its own report complete with photos, maps, directions, and all the other information needed to locate and enjoy these trails.